In November of 2002, the Rochester Institute of Technology’s Center for Integrated Manufacturing Studies conducted a project in which they would evaluate the physical demands and productivity of various manual material handling (MMH) assist devices. Physical Demand: measured by monitoring energy expenditure. Productivity: measured by counting the number of MMH transfers during ten-minute simulations of two different tasks. 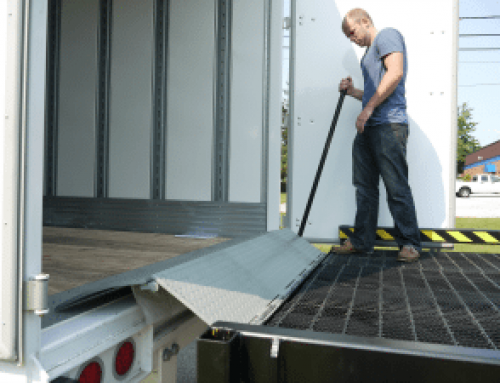 Palletizing: simulated the act of repeatedly transferring an object to a single location (the pallet). Precision Placement: required the subject to repeatedly transfer an object in a narrow target as gently as possible. 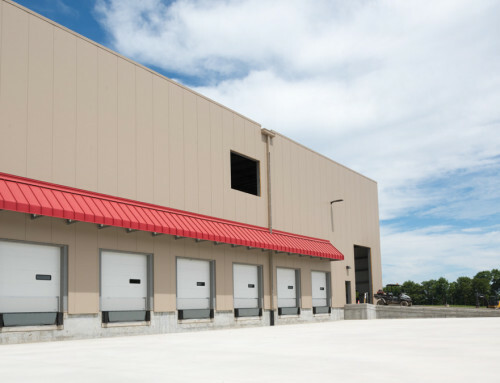 During the palletizing portion of testing, The Gorbel G-Force was shown to be on average, 57% more productive than the other 4 products tested. When productivity was adjusted to the calculate the actual human energy expended during the test, the productivity average increased to 67%. Precision placement testing found the G-Force to be 35% more productive on average than the other lifting products. Once worker energy expenditure was taken into account, the average increased to 52%. Additionally, the study found that the Gorbel G-Force was associated with substantially fewer damaging impact forces during precision placement exercise. 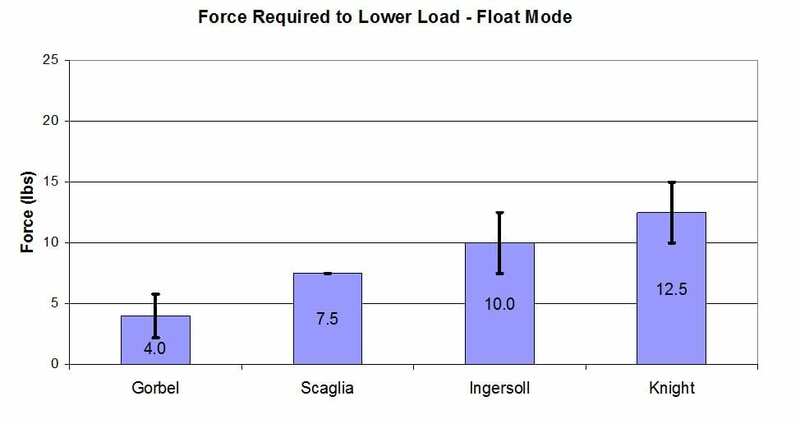 The Scaglia unit required 380% more force than the Gorbel G-Force when raising an object in float mode. 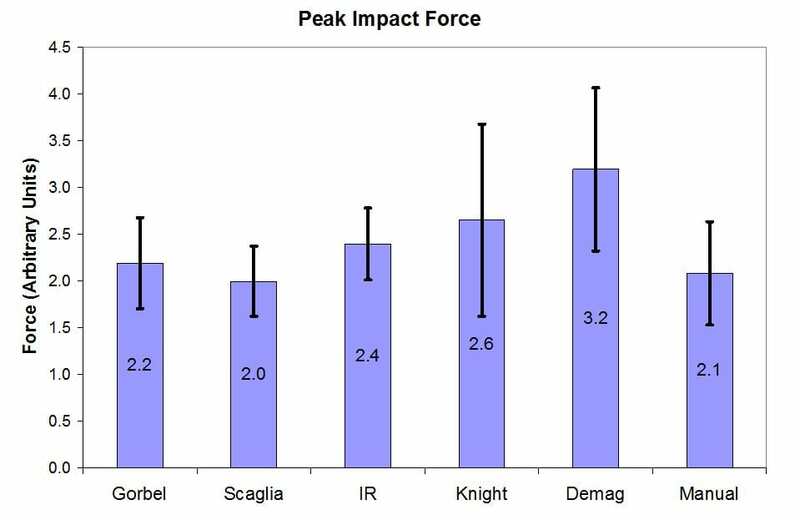 On average, the Ingersoll, Scaglia, Knight, and Demag units required 150% more force to lower an object than the G-Force. 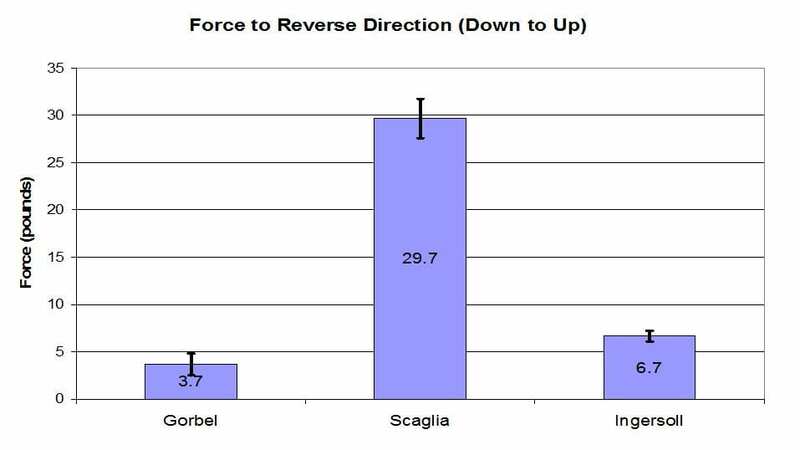 When reversing direction, the Ingersoll, Scaglia, Knight, and Demag units required between 81% and 834% more force than the Gorbel G-Force device. All participants were in good health. No disabilities, or physical work limitations. Each subject was presented with two forty-five pound triangular weights. During a ten minute period, the subjects were asked to move the weights using the lifting devices. They alternated the placement of the load between ground level and 3.5 feet. Distance between tables was three feet, a distance that mimicked real life factory palletizing. The figure below shows the palletizing sequence used. The next exercise had the subjects take that same forty-five pound weight, and place into a triangular target on a table approximately waist high. The target was located atop a force plate (see illustration below). The force plate measured the force at the moment of impact in an attempt to calculate real world product damage. Some of the dependent variables that were measured to calculate energy expended included oxygen uptake (VO2), heart rate (HR), metabolic equivalent (METS), and number of lifts. Independent variables included the type of task performed, as well as the device used. A Polar Heart Rate Monitor was used to record the subjects heart rate. Metabolic data was collected via the SensorMedics Vmax ST. The figure below shows the average number of lifts completed for each of the lifting devices. During the participants ten-minute work period, the Gorbel G-Force attained the largest number of lifts. On average, the G-Force was 57% more productive than the other products (range: 24%-104%). The Gorbel G-Force required less energy by the participant than the other four devices. Part of the study included having the subjects perform manual lifting of the palletizing task. Due to the increased physical demand, only one subject was able to complete the entire ten minute task without exceeding the safe heart rate (80% of the subjects maximum heart rate). The three remaining participants were only able to execute the lifts for a fraction of the ten-minute allotment. Once a participants heart rate exceeded 80% of maximum, the testing was stopped. See the table below. 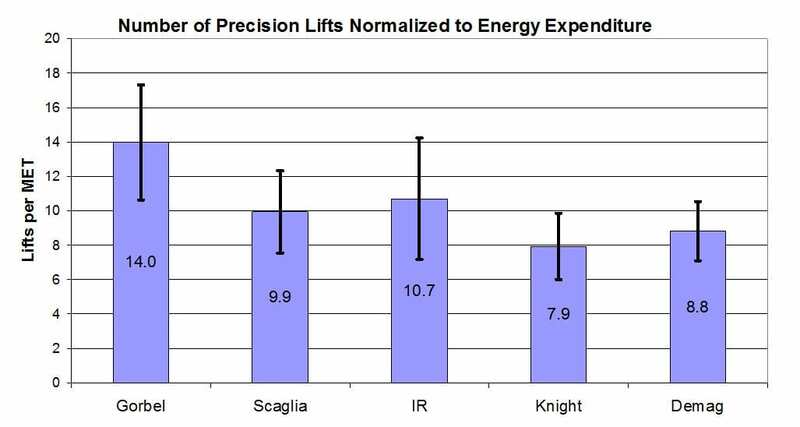 As might be expected, energy expenditure significantly increased with the manual lifting. 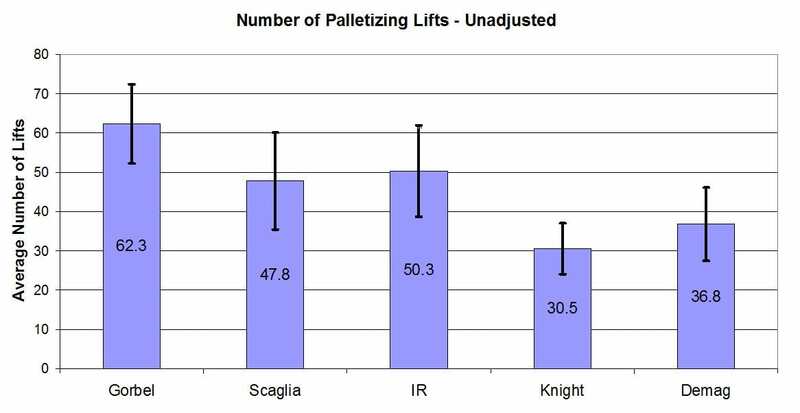 Manual lifting, on average, required a 71% increase in energy vs. the lifting devices. Out of all five units, the Gorbel G-Force was associated with the largest number of lifts within the ten-minute work period. On average, the G-Force was 35% more productive than the other units (range: 12-58%). During the precision placement exercise, actual energy expenditure was measured for each device. All five devices put up stats very closely to one another. 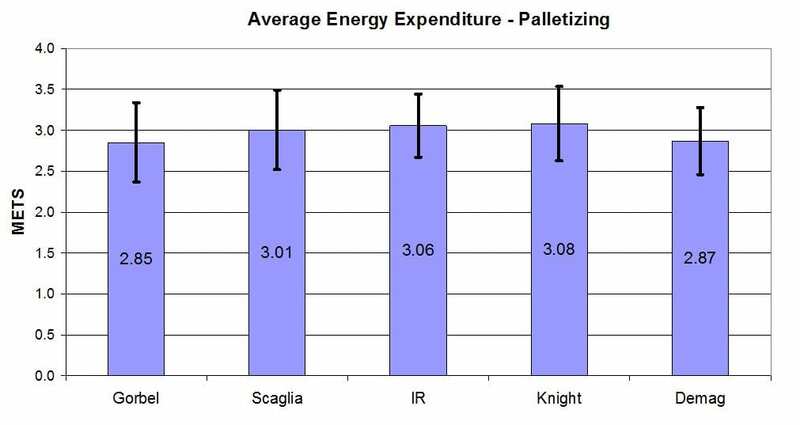 Average energy expenditure ranged between 2.38 and 2.88 METS for each of the five units. After normalizing the number of lifts and the actual energy expended, the G-Force showed a 52% mean improvement in productivity vs. the other four lifting devices (range 31-76%). After the participants used the lifting devices to complete the precision task, they were asked to perform the same precision placement task via manual lifting. Due to the physical demand of lifting the 45 lb. weights, none of the subjects were able to complete the ten-minute work exercise without exceeding the safe heart rate zone (80% of theoretical maximum). Three of the subjects were only able to perform the activity for five minutes. One of the participants was unable to perform any of the lifts. 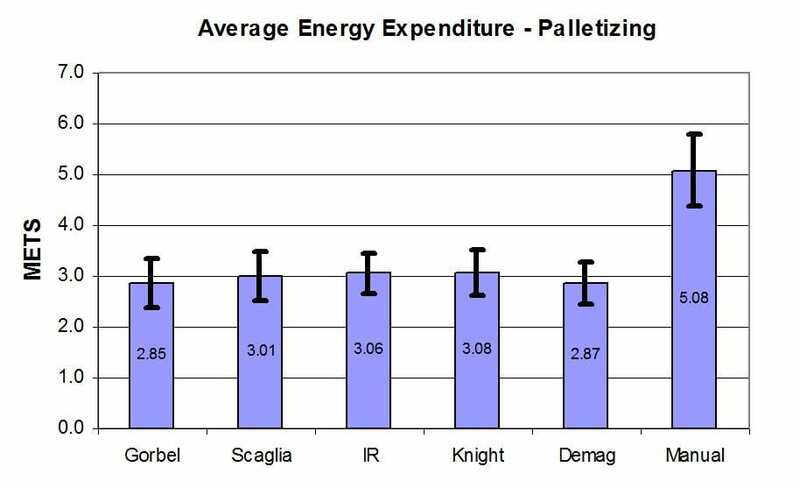 The figure below shows the mean energy expenditure for each option, including manual lifting. Manual lifting called for 56.3% more energy, on average, than was exerted using the various devices (range: 41.4%-70.8%). One of the intentions of the precision placement exercise was to place the weight down as lightly as possible. 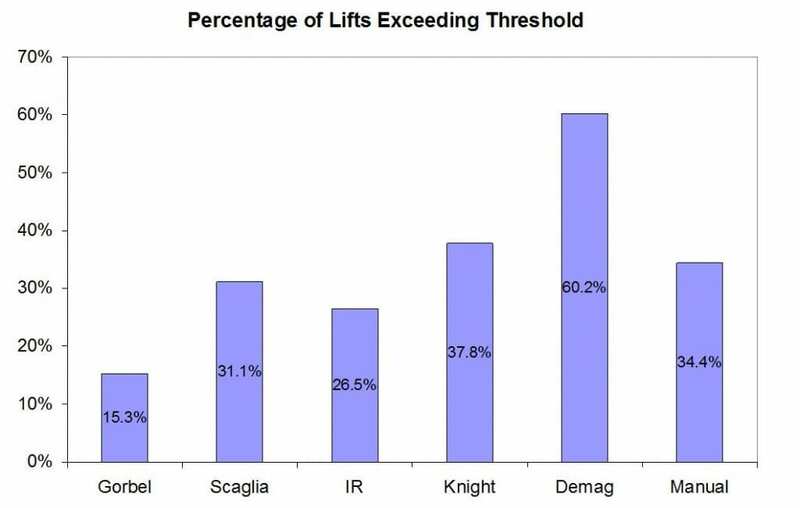 This was done to measure the potential of product damage in a real lift situation. A force plate was located underneath the target. Three strain gauges (cells) calculated the force with which each participant planted the weight in the target. After the precise placement exercise, the peak impact force for each unit/approach was averaged. The findings are shown in the figure below. Because peak impact force, by definition, can occur only once, researches set out to test how many placements were hitting the mark above a threshold of acceptance. Since the amount of force required to damage an object is dependent upon the individual application, a threshold of 1.5 was used. A threshold of 1.5 correlates to an impact force equivalent to 1.5 times the weight of the item itself. The results are presented in the figure below. The Gorbel G-Force was found to have the smallest percentage of lifts that exceeded the threshold of 1.5. On average, the other devices (plus manual lifting) had percentages that exceeded Gorbel by 148.2% (range: 73%-293%). The Demag had the highest incidences exceeding the threshold, as well as the highest peak impact force. A similar pattern was observed by the Knight balancer. 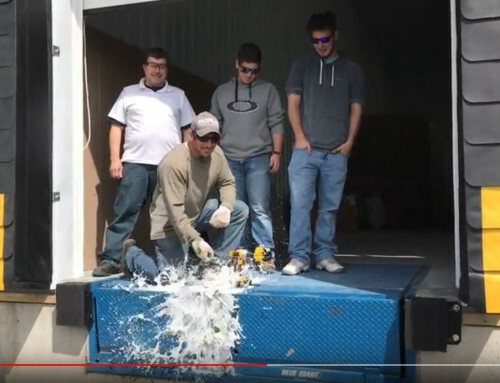 Next, the researchers tested the force required to raise and lower the devices equipped with float mode. The Gorbel G-Force was superior in both tests. For raising the load, the Gorbel G-Force required the least amount of force. The other three devices required an average of 266% more force (range 193% – 380%) to do the same operation. For lowering the load, the G-Force required the least amount of force, with the other three devices demanding an average of 150% more force (range 88%-213%). See table below. The last test conducted was designed to measure the force required to reverse the vertical direction of travel. Researches tested both, down to up force, and up to down force. The findings are below. For both methods of changing direction, the G-Force required significantly less force than either the Scaglia, or Ingersol Rand brands. 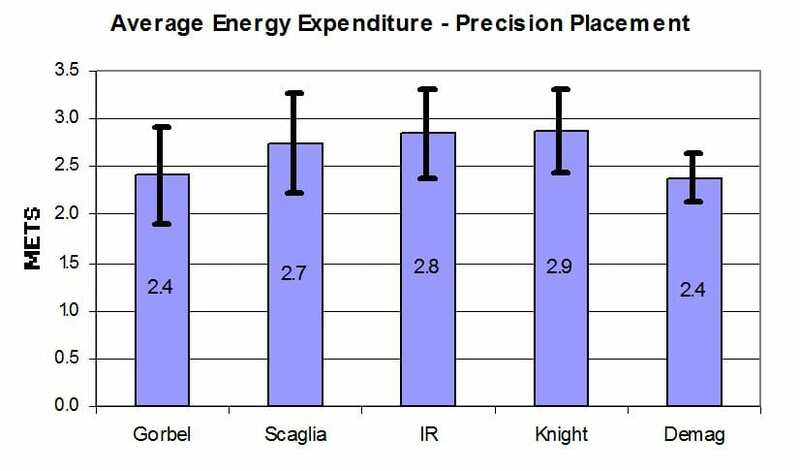 For changing direction from down to up, the Ingersol Rand and Scaglia units required 81% and 703% more force (respectively) than Gorbel. 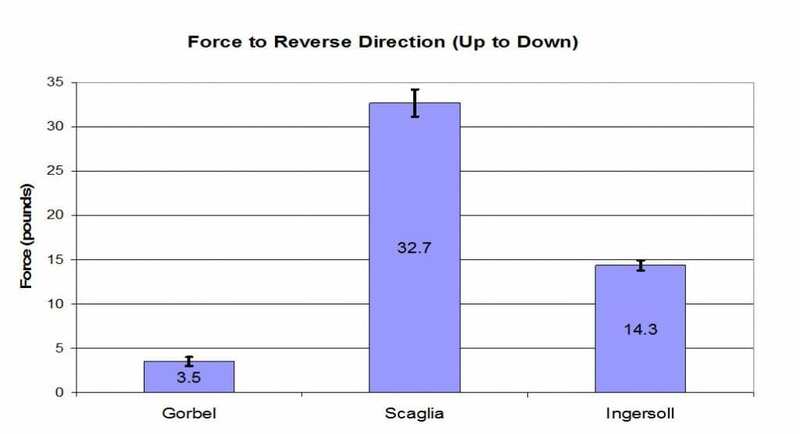 When changing the direction from up to down, the Scaglia required 834% more force, and the Ingersol Rand required 309% more force than the Gobel G-Force. This study evaluated the physical demands and productivity of five lifting devices plus manual lifting. 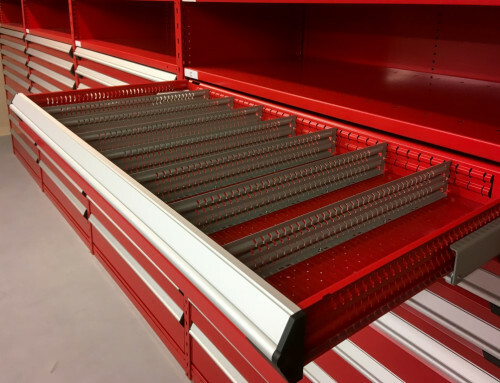 The findings revealed the Gorbel G-Force outperformed all the other devices in both spheres of productivity, and physical demands imposed on the workers. 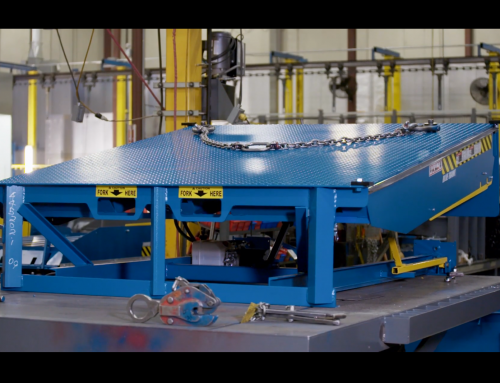 To Learn More About the G-Force Intelligent Lifting Device, Send Us an Email And Let Us Know You Would Like More Information, Or You Can Always Give Us A Call – 800-724-4052 x101.